Onsight is an easy to use mobile sales tool developed by Cape Town based Software Development Company Maxxor. Onsight is a simplistic; yet powerful mobile application. From the sign up process to the easy creation of the products and customers. 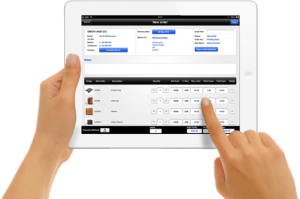 The app allows for addition of new sales orders, customers, full product catalogs and mailing of invoices in PDF format. Thereafter, all data can be synchronized across devices to sales teams. Such simple use cases of a mobile app of this nature can be invaluable in business environments where time is a serious factor. I’m sure most sales representatives would agree, simplicity of use and streamlined processes are extremely important factors where time means money. 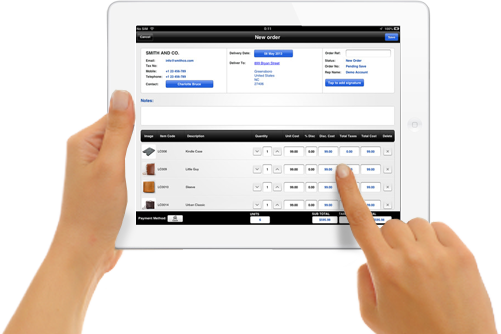 Onsight mobile app works on tablet devices, i.e: iPad, Android, Windows Mobile. Once logged into the app, the user has access to a dashboard that displays summary information pertaining to their sales, products, customers and overall business. Moreover, the app also makes it possible for remote sales team to have the power of working on sight from anywhere (hence the name?). What is also great about this app, is that Onsight allows to run a completely paperless business which can be great in reducing the organisation’s carbon foot print. Meanwhile, saving money on unnecessary printing of promotional material. From a competition perspective, the opportunities and advantages such an app affords its users are vast. For instance, Onsight can be used as a strategic tool to gain a technological leap over competitors in terms of workflow, adding a professional edge to product displays, while at the same time, ditching the old-school printed product catalogs. Onsight has a lot more functional features for the distributors, manufacturing and wholesale industries. Beyond the basics of the system, the app offers Sale analytics, the capability to connect into other CRM, ERP systems via an API and product catalog generators. For any one in sales , manufacturing, wholesale industries, I would strongly advise you to look into Onsight. I was particularly impressed by the simplicity, user friendliness and the ability to synch across devices features of this app in realtime . For a much more comprehensive view on Onsight, check out their website www.onsightapp.com . It has in depth information on the features of the application and case studies by national and international companies.